The Pacsafe Intasafe Laptop Backpack takes things a step further with its 10in tablet compatible sleeve, internal & external organisation and 6 anti-theft features including the Roobar™ Deluxe Locking System. The Roobar™ Deluxe Locking System allows you to clip and secure all your zippered compartments to one point, and lock zippers down with a padlock for extra security when needed. It also offers eXomesh® Slashguard which protects gear from a quick slash-and-run theft. The bag also comes with a water bottle pocket, pen loop, and internal attachment point for wallets and keys. Backpack Strap Length : 24.9" - 36.3"
The Pacsafe Intasafe Backpack - Black has many exciting features for users of all types. 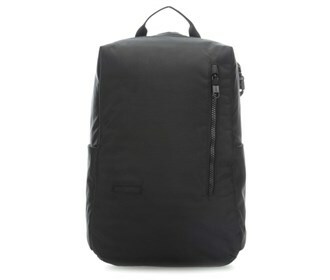 See the Pacsafe Intasafe Backpack - Black gallery images above for more product views. 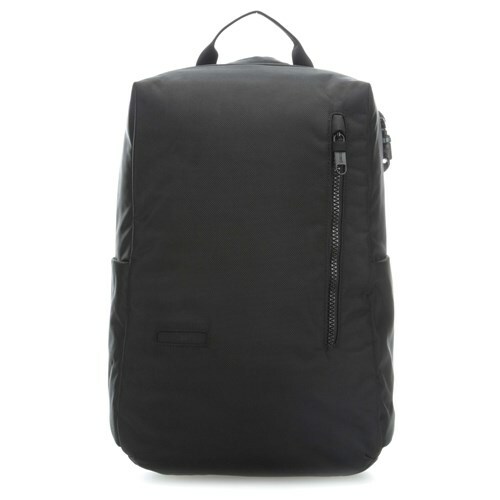 The Pacsafe Intasafe Backpack - Black is sold as a Brand New Unopened Item.